See scan - very good condition. No ribbon. This is a nice and rare medal awarded to military personnel in order to commemorate the 40 years jubilee of the Romanian King Carol I 1866 - 1906. The military type has a text reverse with embossed relief dates and place around text. The civilian type has just the kingdom coat of arms / crest and dates at bottom. The military type is rarer. 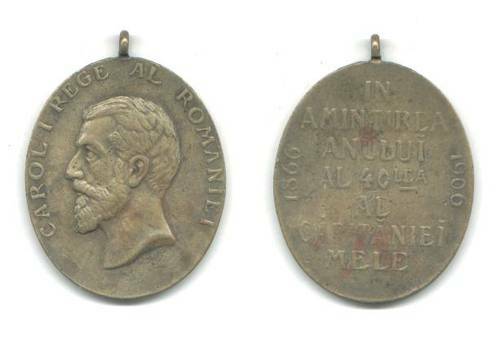 1909 France 25y Marseille Aveyronnais medal !